Bhav Brigade is a grassroots, entirely donation-based, pop-up platform that brings affordable, accessible, philanthropic yoga and wellness out into the community. We believe in inclusivity. The word mahayana in Sanskrit means the “greater vehicle,” or as Pema Chödrön explains it, “the path that leads us out of our cramped world of self- preoccupation into the greater world of fellowship with all human beings.” At the core of the Bhav Brigade is this idea of mahayana. We were born from a desire to broaden the scope, to unite those at the periphery of the yoga community, so that one day there may be no outsiders. Our goal is, to bring this transformative practice out from behind closed doors in a way that is inclusive and available to all. So much of our energy rests in our diversity. In our classes, the neurosurgeon practices next to the dancer, practices next to the business executive, practices next to the high school student, practices next to the retired veteran. First time-ers are intermixed with experienced yogis who are advanced teachers themselves. The woman in her late 60’s practices alongside the 6- year- old with her expectant mother surrounded by a whole bunch of people of all ages, ethnicities, and backgrounds in between. We believe in accessibility. Yoga means “union” and we’re getting back to the root of it by focusing simply on the yoga. When our three co-founders, Danielle Stern, Jeffrey Villanueva and Jessica Johnson came together in early 2015, it was decided that we would offer yoga in a format that didn’t require memberships, strict arrival or departure times, specific clothing, or even money. By doing so, we hoped to reach the people that weren’t already being reached by the dozens of talented and well-established studios in town—people who hadn’t found their way into an organized yoga class, whether because of class prices, transportation issues, class times conflicting with personal schedules, feelings of intimidation, or any number of preconceived notions—and as a result hadn’t found yoga. Here, we’d whittle away all the excess and it would just be yoga. Nothing more. To this day, each and every one of our offerings is either free or donation-based and takes place in creative outdoor spaces, local businesses and public landmarks. 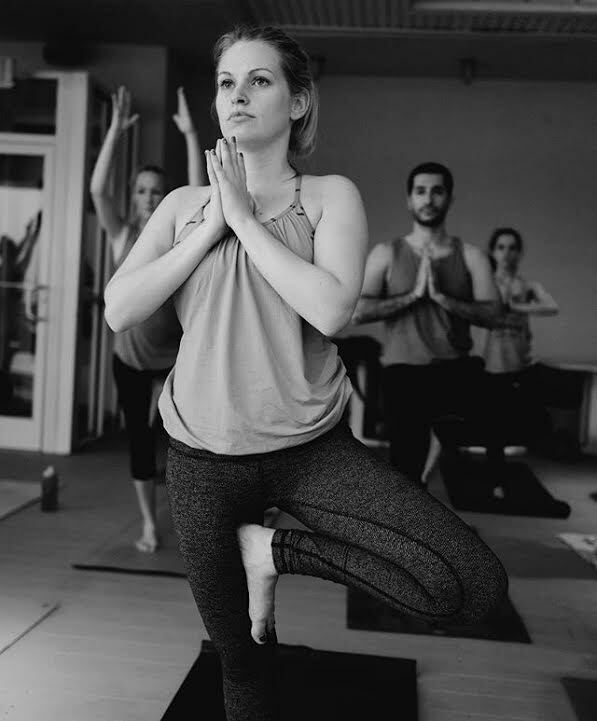 All of our classes are appropriate for all-levels of yoga experience and our teachers are skilled in simultaneously providing a variety of possible modifications so that the practice can be adapted to meet every practitioner exactly where they are. We believe teachers are conduits. Bhav is a divine, uplifted mood, an elevated disposition, a joyful expansive energy, “good vibes” in their purest form, a rich sense of belonging and fellowship and connection to what is good and sacred and beautiful. We operate from the belief that as yoga teachers (and students!) it is our job to always, always bring the bhav. It’s this bhav that turns any place into a sacred space, transforming our neighborhoods and cities into yoga studios and our practice into a conduit for something greater; and it’s our reverence for bhav that guides our expansion—organically, collaboratively, soulfully, and intentionally. We believe in yoga as a tool for social change. Our primary goal is to empower individuals to take their practice beyond the four corners of a yoga mat, traversing the traditional limitations of today’s yoga culture and moving it out into the world where it matters most. It’s our hope that what we learn and move through during our time together on the mat will enable us all to live life in a way that is more loving, more compassionate, less divisive and more peaceful. Jessica is an integrative yoga instructor, entrepreneur and physician who believes we are here to feel, to love, and to take care of each other with the gifts we’ve been given. Ultimately, she feels she is here both in yoga and in life to facilitate healing, a process in which we realize we’ve actually been whole and perfect and absolutely worthy of this beautiful thing called life all along. After seven years of personal practice, she began teaching at the start of medical school, completing teacher training with Jivamukti teacher & owner of Satya Yoga, Logan Taylor Tymoff, while developing a yoga and meditation program for the hospital's campus community. 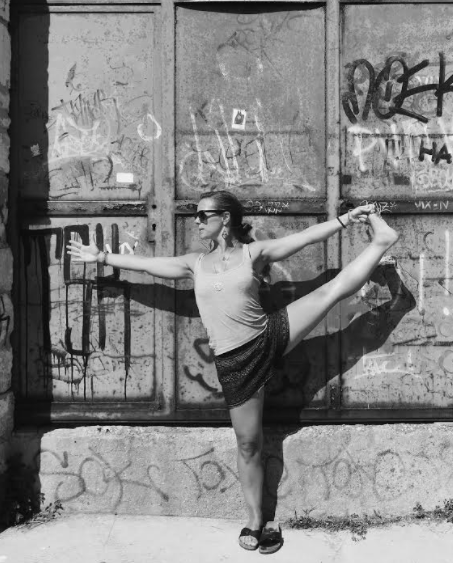 Jessica now teaches a dynamic Jivamukti- inspired vinyasa practice founded in a deep understanding of human anatomy and physiology and is most passionate about integrating her eastern and western studies to foster true healing in a way that is accessible to everyone. Her classes are rhythmic, transformative, intuitive and as playful as they are deep. While living in Virginia, she was best known in the community for her role in creating the Bhav Brigade and particularly for her sunset classes that attracted hundreds of individuals each week and raised thousands of dollars for charity each year. Now that her other hat has pulled her away from the east coast to Stanford for residency, we’ve gone bi-coastal and Jessica is pioneering the San Francisco Bay Area branch of Bhav Brigade. Connect with her on Instagram, Facebook , or on her blog, LivingSoulfull.com. Danielle is a co-founder of this amazing community of yogis, Bhav Brigade. She began teaching yoga in 2015 following completion of her RYT 200 with Logan Taylor of Satya Yoga Norfolk. 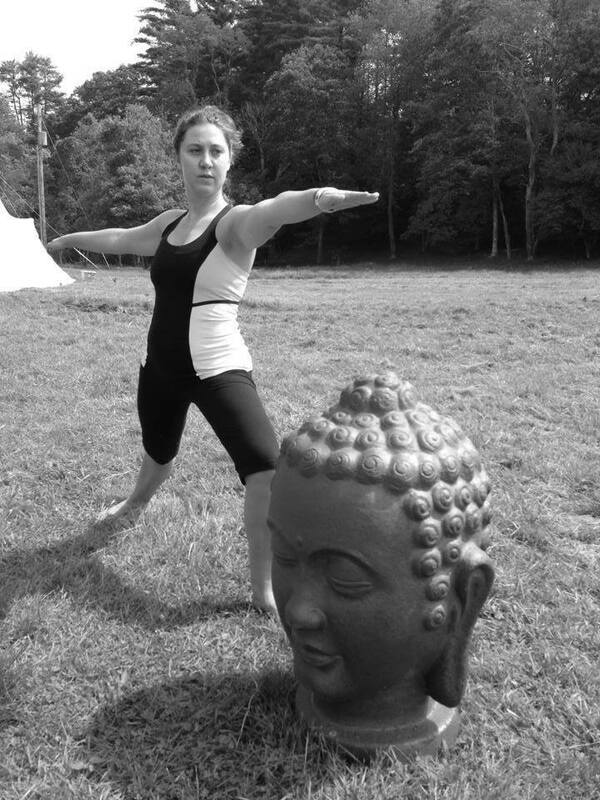 Practicing yoga and satsang keeps Danielle grounded amidst the hectic pace and ego of academia. She came to yoga in search of a respite from graduate school stress in the early 2000s. Soon after receiving tenure as a communication professor at Christopher Newport University, Danielle made her yoga practice a priority. 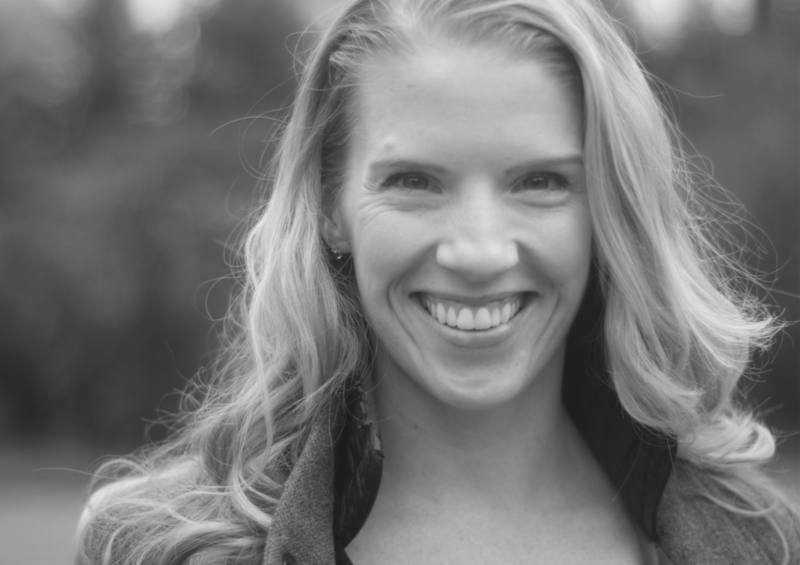 She enjoys teaching dynamic, playful all-levels flow classes and is also trained in restorative and yin yoga styles. Megan earned her 200 hr yoga teacher training certification at Core Power Yoga in Minneapolis and taught pop-up classes in the community before moving to Norfolk. Since moving to the mermaid city, she has lead Bhav Brigade classes at fun locations all over, including Slover library, Mermaid Winery, EVMS, and Stockley Gardens. 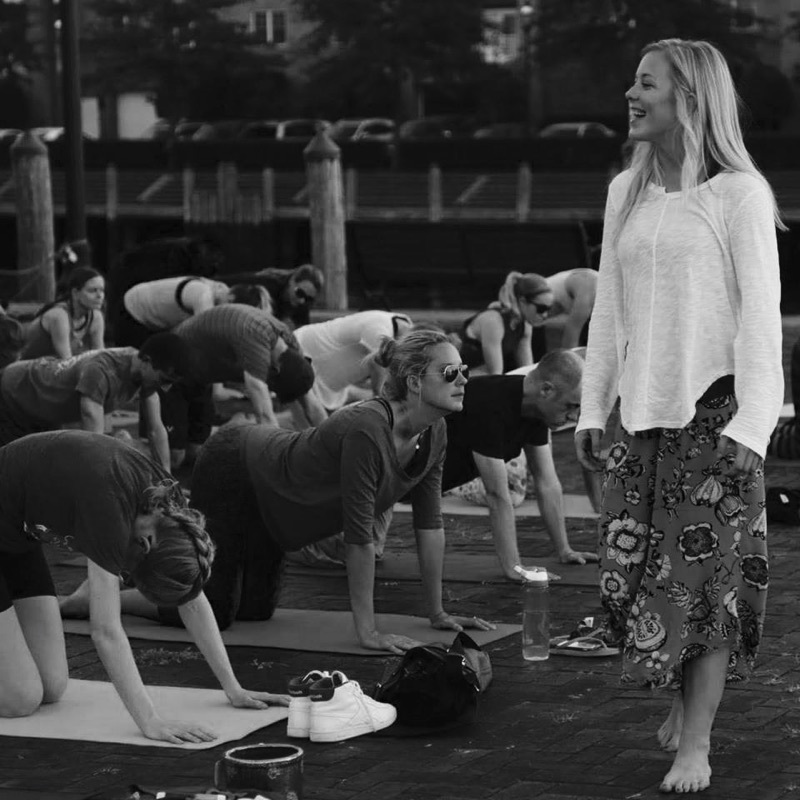 She loves the Hampton Roads yoga community and is honored to be a part of it! Leah Landau grew up in Raleigh, NC, as a dancer, gymnast, and daughter of two yogis. She stretched her wings in NYC gathering a BFA in Theater Arts through NYU, then used her talents on stages all around the country performing in musical theater productions with stars of the stage and screen. After kicking in heels and belting out show-tunes, health and wellness came into the forefront of her being. In 2011 she became a yoga instructor with a 200hr certification through Sonic Yoga and is currently finishing up her second certification of 300 more hours. In 2016 Leah moved from the north to the south where she now continues to expand on her mission of inspiring healthy living around the world through movement, nutrition, and meditation. She loves nothing more than sharing laughs and loves with people on and off the mat. And when her two feet are not on land Leah can be found with her boat captaining love as well as her Boxer puppy on a yacht in Portsmouth, Va, where she rocks herself to sleep each night with dreams of a healthier and happier world. Diane is a clinical psychologist, PhD, life-long student, entreprenuer and teacher of teachers. She's fused the influences of her teachers Shiva Rea, Janet Stone, and Tiffany Crushank (among many others) with her academic and clinical western medicine background to develop a uniquely therapeutic and holistic style of yoga built on the principles of presence and sustainability. Currently wrapping up her 1000 hour teacher training (yes, you heard that right. One-thousand!) with Yoga Medicine, she started out guest teaching with Bhav to raise money for her TT seva, The Emancipation Network, in support of their fight against human trafficking and modern slavery and is now leading the Virginia Beach leg of Bhav Brigade Hampton Roads. Connect with her via her website binduwellness.com. Neve has been a yoga practitioner off and on since 2003. After several car accidents, it became apparent to her that she would be practicing yoga the rest of her life in order to self-heal daily. She received her RYT 200 teaching certificate in Hatha alignment-based yoga at Health Advantage Yoga Center, in Herdon Virginia. Neve has studied many different styles of yoga under various senior teachers. She is drawn to Ayurveda and Tantra as they teach all of life is sacred. 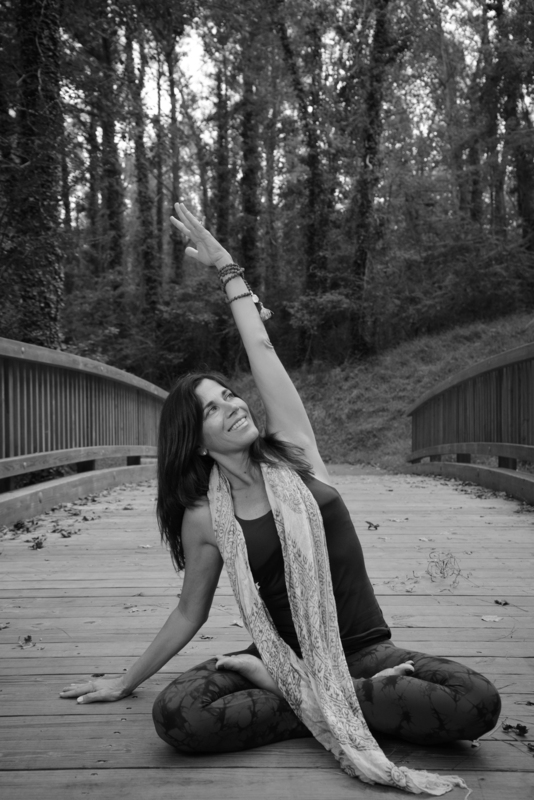 With 14 years of teaching experience, Neve enjoys guiding her students along the yoga path of self-discovery. Her classes tend to be more playful in nature yet with an element of reverence for the Divine. Connect with her on Instagram, Facebook , or on her website, Sacredlifepractices.com. Vanessa Fleming E-RYT 200 and Norfolk native, started practicing yoga regularly almost 10 years ago, after her a doctor recommendation to help alleviate a range of anxiety and depression-related issues. After 5 years of practicing and a little kismet sign from the universe, she completed her 200-hour training through YogaWorks Soho under the guidance of Chrissy Carter. In 2013, Vanessa broke away from her mold known as the office chair, and took off for greater sites around the world. It was in the world where her yoga practice grew beyond the asanas, into a spiritual and inspirational empowerment from a variety of sources around the world. Since then, Vanessa continued her studies and became more fascinated by the power of quiet practice. Meditation, yin, and intuition are currently what’s driving Vanessa’s practice for herself, and how she’s infusing it with her teachings. Additionally, she offers Thai Massage as an additional bodywork technique, and currently studies under Thai healer Pichest Boonthumme. Her intentions have brought her many wonderful opportunities – teaching in Croatia, Morocco, Thailand, and Laos. This August, she'll be in Italy and Portugal, learning and sharing her stories on retreats! Connect with her on Instagram, Facebook , or on her website, VanessaFlemingyoga.com . Bhav Brigade is a platform that brings together individual teachers with the same mission, to bring yoga and philanthropy together in accessible, affordable, sometimes unexpected locations. We encourage interested teachers to be familiar with our classes and teaching styles, but more importantly, our students. Attend classes that work for your schedule and get to know us. Say hi before or after class! We want to get to know you not just as students, but as potential conduits of bhav, which means having a regular presence in class. All Bhav Brigade teachers must have completed at least a 200-hr RYT program and be current on their individual insurance policies. Don’t hesitate to contact us if this description fits you!